Originally guitars were much smaller than they typically are today. The guitar was just a rhythm instrument used for chordal accompaniment behind a singer or a soloist playing another type of instrument. But everyone recognized what great potential the guitar held. The things just weren't loud enough. So the guitars started to get longer scale lengths. The longer the length from the nut to the saddle a guitar has, the more string tension there will be when the guitar is in standard tuning. More string tension creates more volume when a note is plucked. But there was still a desire for more volume, and so the size of the body of the guitar grew larger. C.F. Martin & Company always led the way on guitar innovations in the early 20th century. It was Martin who introduced the orchestra model, which was just a 000 model with longer scale length. Then Martin created the dreadnought body style. The name was an allusion to the HMS Dreadnought battleship. It was an exceptionally large ship at the time, and the body dimensions of a dreadnought guitar were quite a lot larger than previous designs had been. By the 1920s electricity was changing everyone's lives for the better. At least there was a lot more comfort available. A body could keep his or her beer cold. You could do with less candles for the increasingly available electrified lighting. Electricity made entertainment in the form of music something which could now be enjoyed by much larger crowds. Sounds were amplified. Microphones were invented, and wouldn't it be nice if we could put something like a microphone inside of a guitar? The first pickups for acoustic instruments were, in fact, carbon button microphones. These weren't very effective, as they produced a too weak signal. By the 1940s pickups were built which would be recognized as such by the people of today. Why Buy a Mahogany Body Acoustic-Electric Dreadnought guitar? 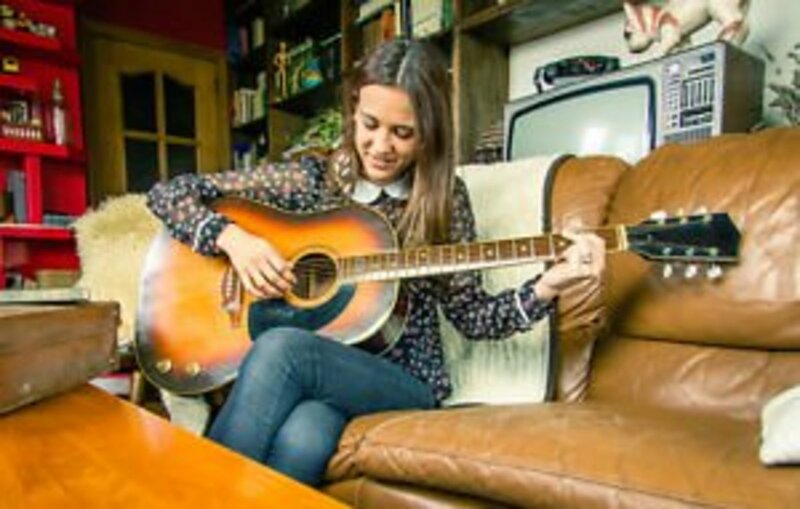 To be very frank about it, you only ever need to own an acoustic/electric guitar if you play live, with a band, or just accompanying yourself, in front of crowds. You can't go trusting a venue to have the proper microphone and amplification system you would need for your guitar. You need to have an acoustic/electric and a proper amplifier for it. Why a mahogany body acoustic/electric dreadnought? 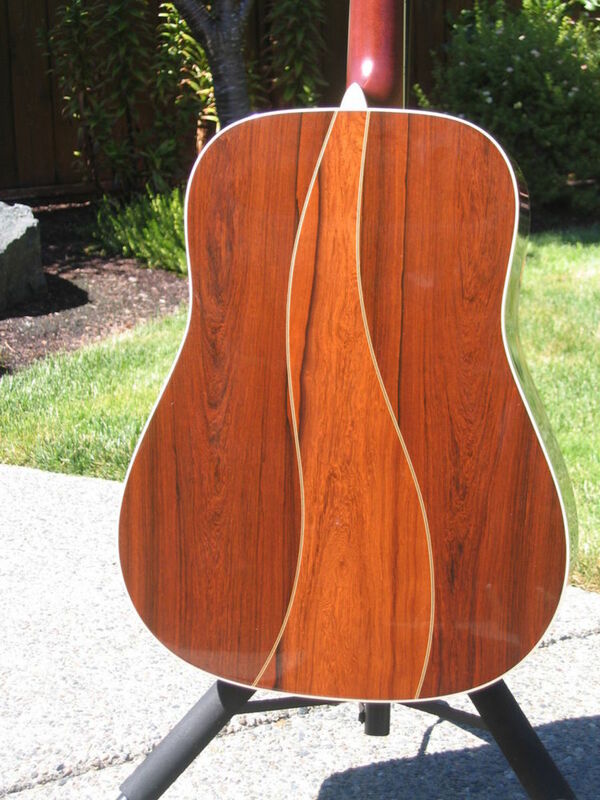 The dreadnought body shape is the single most common acoustic guitar body shape. But you only want a dreadnought if you are comfortable playing one. Why mahogany? Mahogany is very different from rosewood. 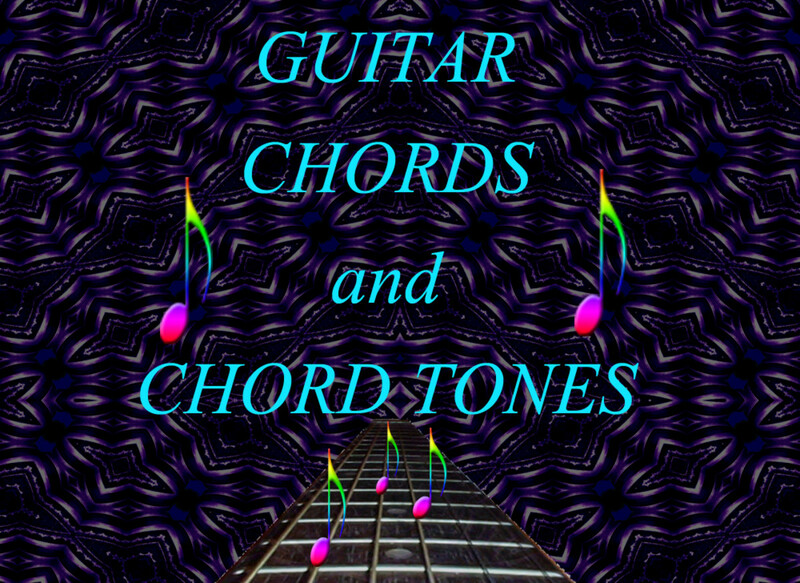 It is considerably less expensive, and the tonality its tonewood offers is quite a lot different. Where rosewood is darker, mahogany is brighter. 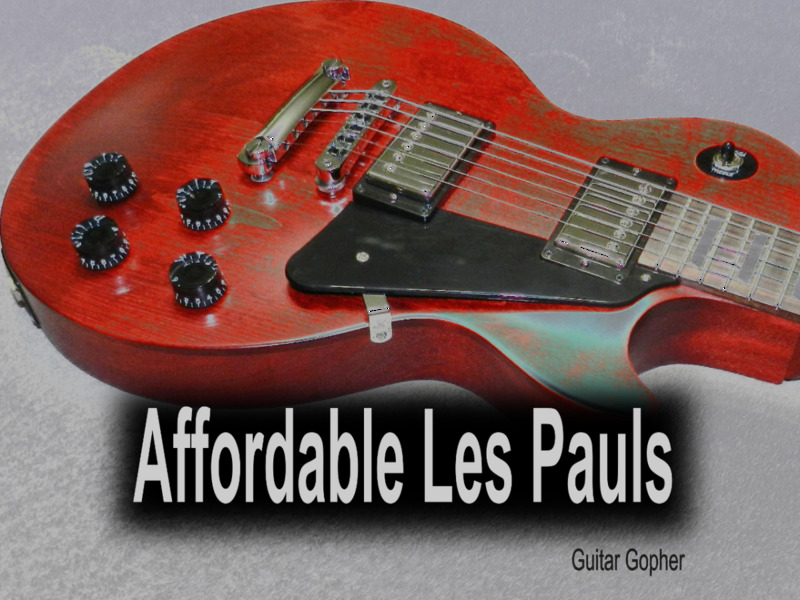 But for a working musician who we can assume has a limited budget, mahogany bodied acoustic/electric guitars can get any job done, and get it done for fewer dollars. That all said, this list of 5 mahogany body acoustic/electric dreadnought guitars are all guitars which are for the serious amateur or professional guitarist. The leader of the pack in this category of guitar is clearly the Taylor 510ce. The 'c' and the 'e,' respectively, stand for cutaway and electric. Taylor guitars were ahead of the game, incorporating cutaways and electronics in the majority of their guitars before it was cool. And because of this, their Taylor Expression System is the state of the art in electronics for acoustic/electric guitars. As the years have passed Taylor guitars have changed the way they internally brace their instruments. Besides that, they've also updated their Taylor Expression System a few times. So an older used Taylor 510ce won't sound and feel just like a newer one will. Also, older guitars are considerably more broken in, there is always also that factor. The Taylor 510ce is currently using Taylor's ES2. Taylor's proprietary behind-the-saddle pickup (patent pending), which features three uniquely positioned and individually calibrated pickup sensors. The people at Taylor believe this is the best electronics systems for acoustic guitars, and they are not alone in this. Together with Taylor's custom-designed "professional audio"-grade preamp, this system produces exceptional amplified tone and responsiveness. On stage through a PA, plugged into your favorite acoustic amplifier, or direct into recording software, the Expression System 2 faithfully conveys the voice of your Taylor guitar. The Gibson J-45 has been in production since 1942. Gibson refers to this guitar as the working musicians workhorse guitar. Because it is priced to sell to the working musician. It is a no frills guitar most often used for acoustic blues, or chordal rhythmic strumming behind someone singing country and folk music. But the J-45 can be used to make any sort of music. 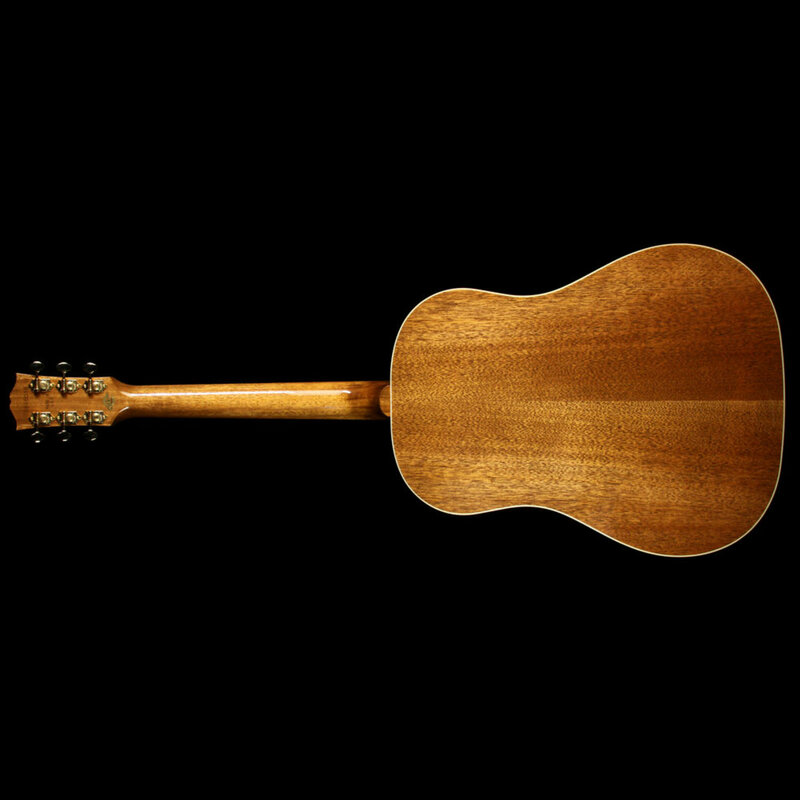 It is a mahogany body slope shoulder dreadnought with a spruce top. You can absolutely get a J-45 without the sunburst finish; but those are more rare. The most of them you will ever see will be with the deep sunburst finish. 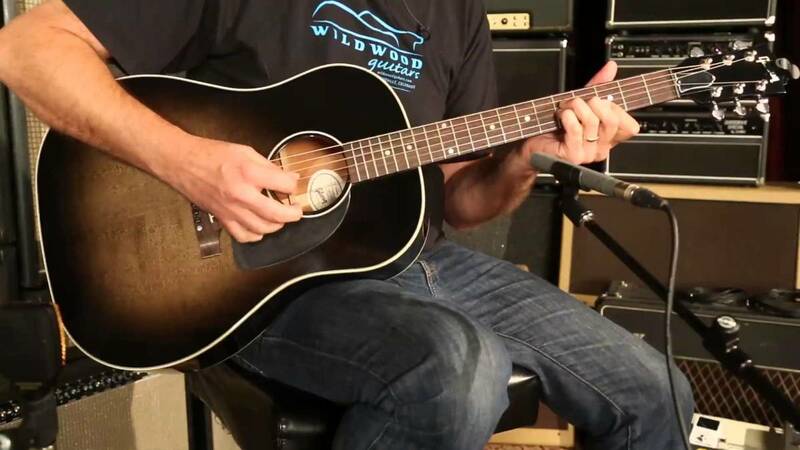 You can also get a J-45 with rosewood, or even Koa bodies, but those are much more expensive, and again, much less common than the mahogany body Gibson J-45 acoustic/electric guitar we have all come to know and to love. 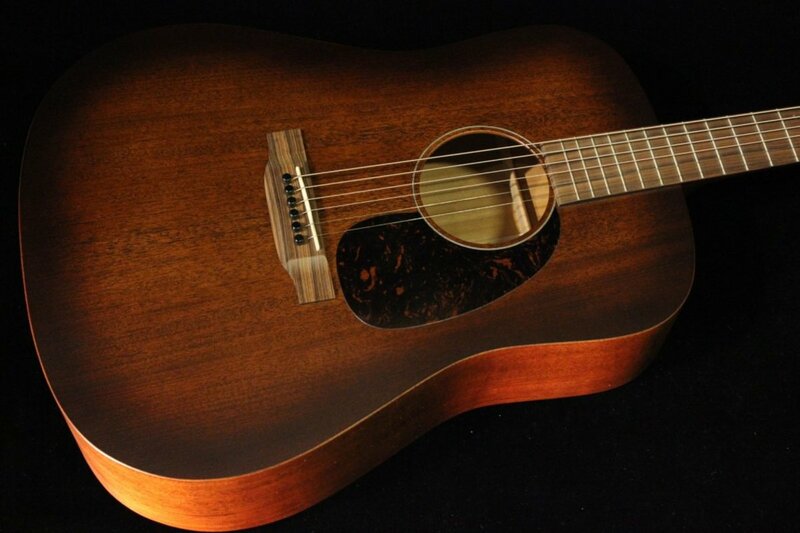 There are signature series J-45s, and there are limited edition J-45s, and there are mahogany top J-45s. There is no end in sight to the J-45, as it is one of the single most widely owned, sought after, and recognized guitars on the planet. There are a ton of different Gibson J-45s with all manner of different features on them which you could run into when out shopping for your ideal mahogany body acoustic/electric dreadnought. Most J-45s you see will have Sitka spruce tops. Sitka spruce is a damned fine variety of spruce, and makes for an outstanding soundboard, or top for a guitar. Adirondack spruce is less common, and thus, more expensive. When the J-45 debuted on the market in 1942 this was not the case, Adirondack spruce was plentiful, and was used as a standard feature. Today you pay a couple thousand dollars more for Adirondack spruce, but it truly isn't worth that much more money in terms of what you get. Most persons wouldn't be able to tell the difference. I really can't stress enough how good a value buy an all solid wood construction Seagull guitar truly is. These are made in Canada, and they are made well, and sell for killer prices. I mean, these guitars are damned fine guitars, and I'm not sure how they can afford to let them go at prices as low as they do. This guitar, the Seagull Artist Mosaic Element Acoustic-Electric Guitar Natural goes for just over a thousand bucks, and is professional grade all the way. This is a standard mahogany dreadnought, but this guitar has a cedar top. What's the difference? There isn't as much of a difference as you might think. Cedar soundboards respond beautifully to light attacks. Yes, you can flatpick a guitar like this with a cedar soundboard - but these guitars will respond most adroitly to chordal strumming and fingerpicking. If you are a very heavy handed picker who uses a heavy pick, and you are digging into the strings very loudly, the cedar top could be over-driven. But in my experience, you'd have to have an exceptionally heavy handed approach for such a thing to be an issue to where it affects the sound of the guitar negatively. 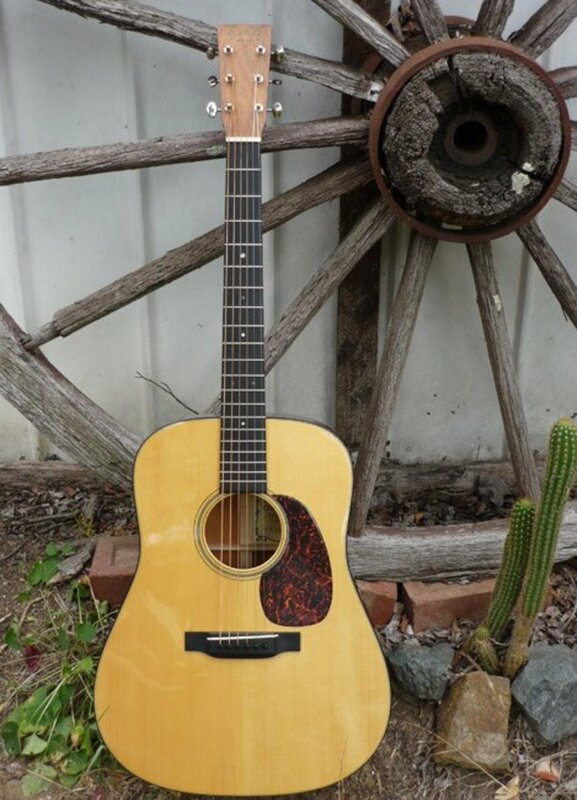 This fine Seagull guitar is dressed out in herringbone trim like a Martin HD-28. That's some fancy trim this thing is wearing. And for around eleven hundred bucks!! Brothers and Sisters, this guitar is a steal. The value goes deeper still, these guitars have Adirondack spruce braces inside. They will ring like the most beautifully made bells in the world. They have L.R. Baggs pickup and pre-amp inside. The Guild D40ce is my kind of guitar. 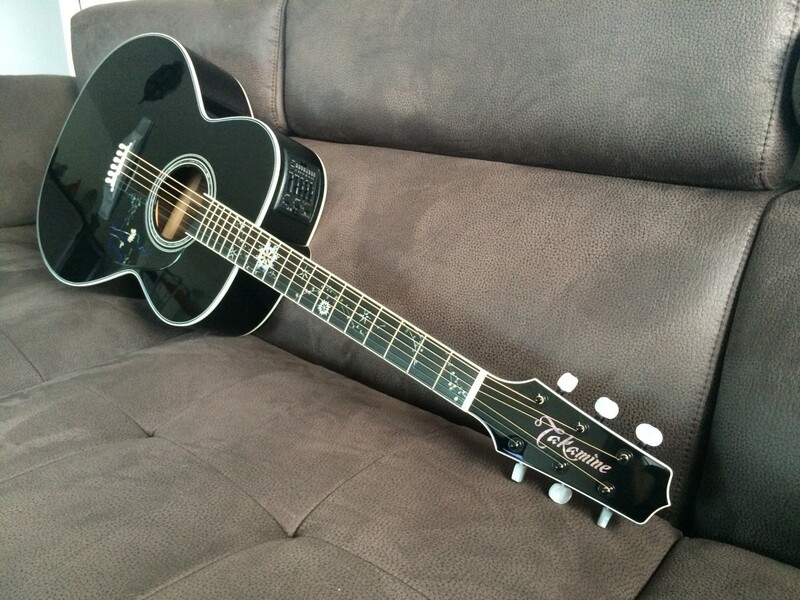 I like playing bluegrass type music, and this guitar more than any of the above is suited towards that avocation. This is a made in the USA Guild, so its quality level is off the charts. Ren Ferguson is running Guild these days, and that man doesn't play around with quality standards, he raises the bar. This guitar compares directly to the Taylor 510ce. Some people prefer Taylor, others prefer brands like Guild. What I'm saying here is the best possible thing would be for the prospective buyer to be able to try this Guild and the Taylor 510ce one after another. They are similar styles of instruments built to have different characters. 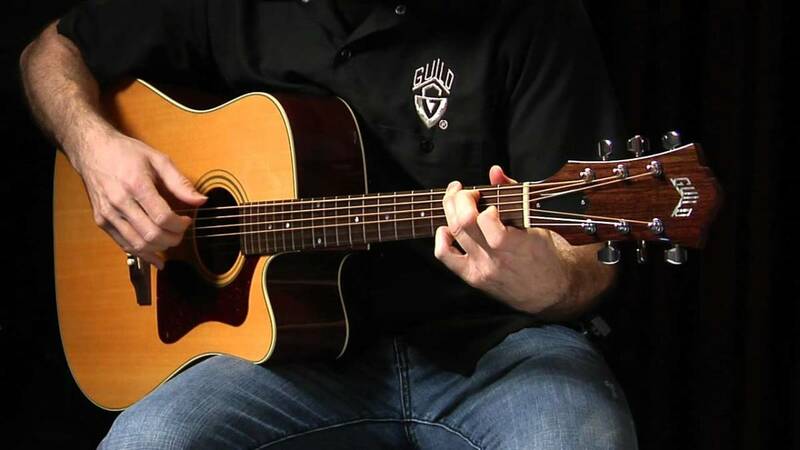 The Guild D-40ce has a different on-board pickup and pre-amp from other brands. Guild isn't using Fishman or L.R. Baggs, they use something called D-TAR Wavelength. This is an 18 volt system which uses two AA batteries. 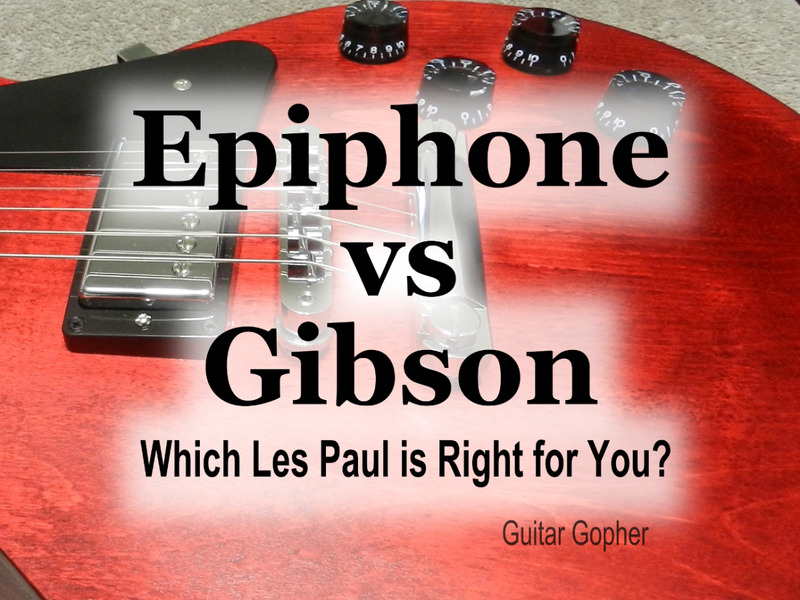 Reading about these Guild guitars online in guitar forums and such, there is some confusion I would like to clear up. 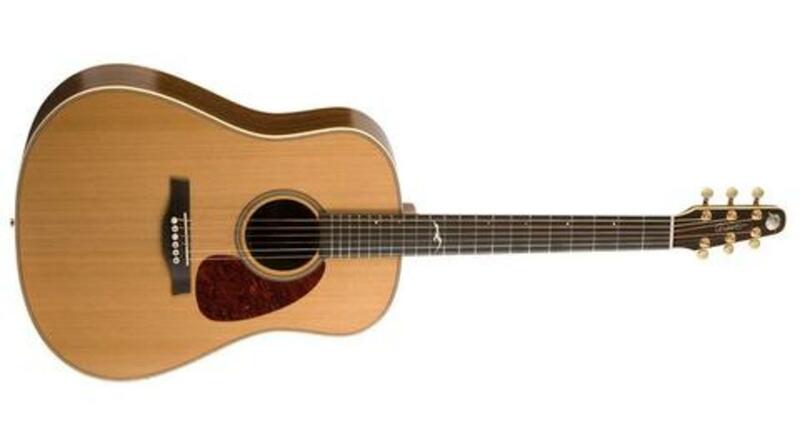 The Guild D-40ce is a made in the USA all solid wood construction guitar. This guitar should be and will be more expensive than either the GAD-40ce, or the Guild D-140ce, both of which are made in Asia somewhere. Sapele is often referred to as African mahogany. Whether or not this is deceiving is a subject of some discussion in many a forum. Sapele is also sometimes referred to as 'sapele mahogany.' American mahogany, Honduran mahogany, South American mahogany - many of these species of trees are of differing Genus. So they are certainly very different species. Because the question of what is and is not mahogany is rather complex - and because Sapele is often called mahogany along with various other woods which aren't so closely related to whichever one a body considers to be THE real mahogany; this Martin is included here. Sapele is gaining market share as a tonewood; and besides, is gaining a very good reputation among players. In any case, the Martin DCPA4 Performing Artist series acoustic/electric can be had with either a sapele mahogany body, or an east Indian rosewood body. These are all solid wood guitars with little inlay work, and bridges and fret-boards of Richlite. No one can accuse me of shrinking from controversy. Richlite is even more controversial than the question as to whether or not sapele is mahogany. These are fine guitars, every solid wood construction Martin is. Maybe the harshest condemnation I've seen of these was someone saying Martin was imitating Taylor guitars here. Martin guitars are never imitations - but the reference, I think, had to do with Martin using alternative materials, and making a production instrument with a cutaway and electronics. Martin uses Fishman electronics, and they are second to none. @Carl - I'll never in this lifetime have a negative thought or word for Martin or anything they do. Seagull is a very terrific make of guitar though! Cheers Patrick - from one guy with dreams to own more fine things to another! I don't get out and about as much as I used to. Just seems like I don't see US made Guild around much. I'm all about the Guild, Taylor is right up there but I don't like the Dreadnought cutaway from Taylor, it's gotta be the grand auditorium or grand symphony (14 or 16)i.e 514ce or 516ce in a Taylor but Guild are a dream to play. I have both but not as nice as these models Guild D-240e and Taylor 114ce. Lower end models for someone on a budget like myself. Someday soon I'll have a higher end Guild, my all time favorite is the D-55. Before starting Real Tours India Company, i am crazy about Guitars. Playing Guitars is just my passion & you post very good information regarding guitars.